If one thing is for sure about our fair city, it's this - Nashville has great coffee. One of our go-to stops is Crema, a nearby shop that offers not only delicious espresso drinks but a slow bar experience that walks you through brewing coffee using various methods.. siphon, V60, you name it. 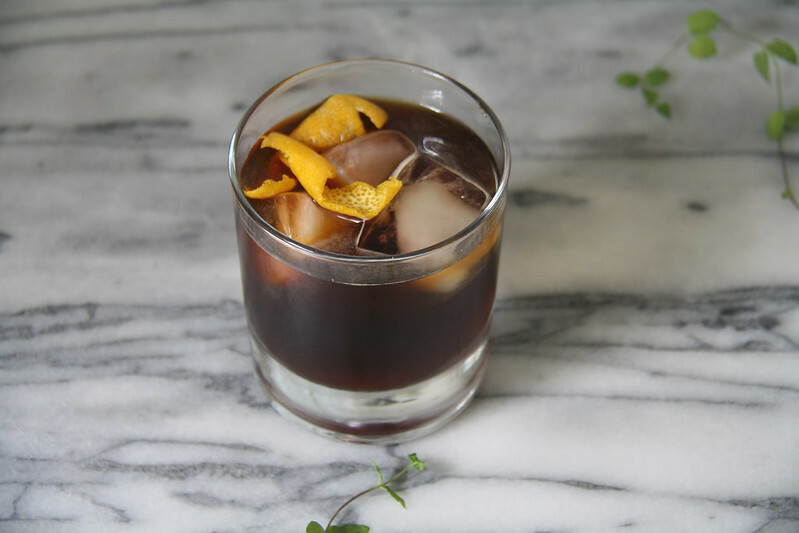 My favorite Crema drink of late is their seasonal coffee soda.. carbonated iced coffee, brewed Japanese style, with demerara syrup and orange. 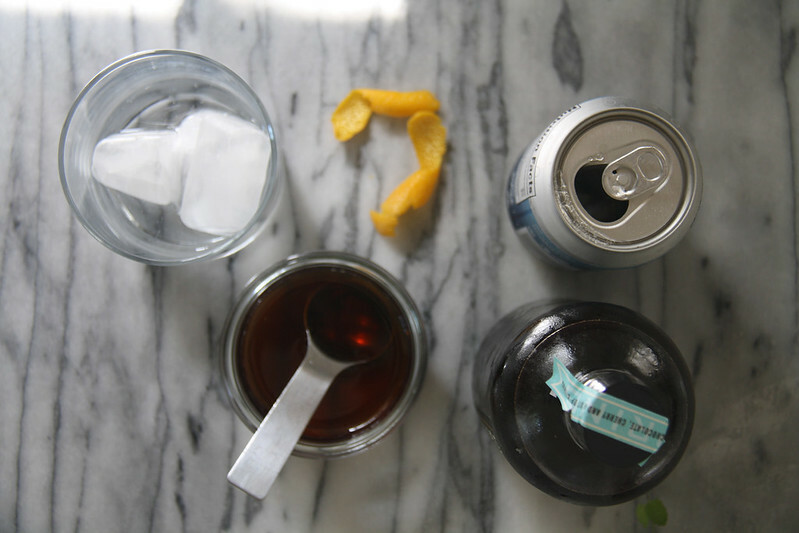 The carbonation gives the drink a frothy finish, and citrus is a surprisingly smooth accompaniment to cold brew. 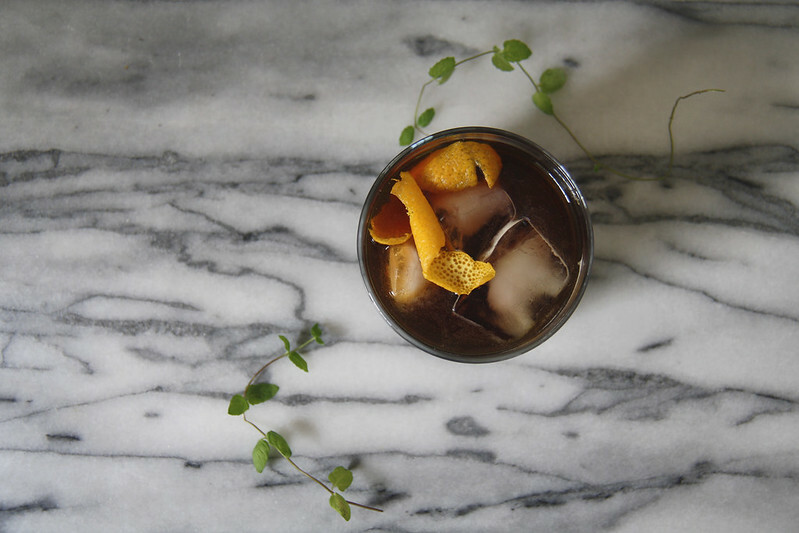 As it's been ages since I shared a recipe with you all, I thought I'd try my hand at making an at-home version of Crema's coffee soda - the same flavors but with different, home-friendly methods and ingredients. See below for the recipe! 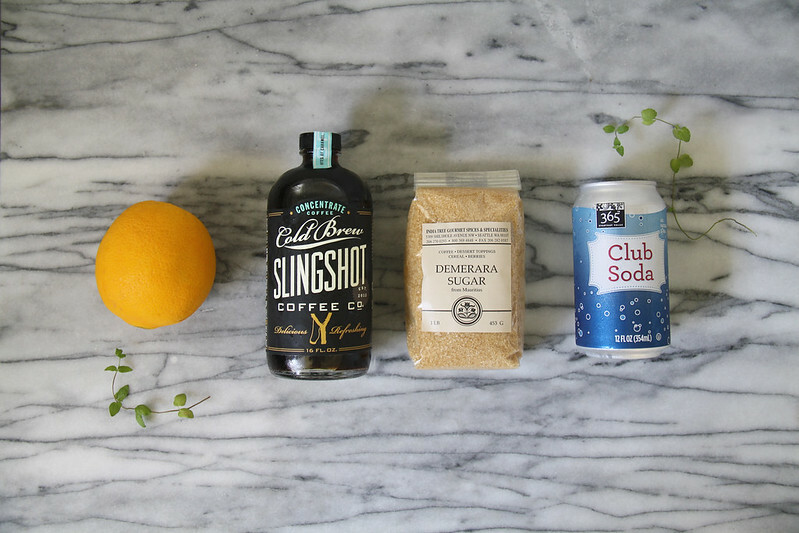 What you need.. concentrated cold brew (I recommend Slingshot - it's delicious and they use Counter Culture beans), sugar (brown sugars like turbinado or demerara yield a richer flavor than white), soda water, and an orange. Other items - water, ice, a pan, and a vegetable peeler. Step one.. peel your orange. Thinly peel the skin off so there is little to no white on the underside of the peel (as this adds bitterness to the flavor). If citrus flavors aren't to your taste, you can use fresh mint or lavender in its place. Once you have orange peels, it's time to express them. Expressing an orange peel means bringing the tasty oils out to the skin. 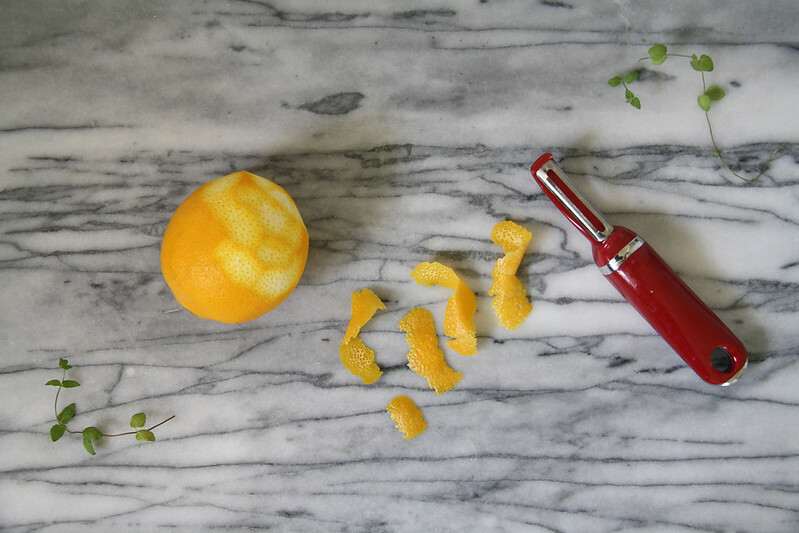 This is a simple task - take your peels and twist them. You will see a thin layer of liquid rise to the surface, and this will tell you that you've done it correctly. 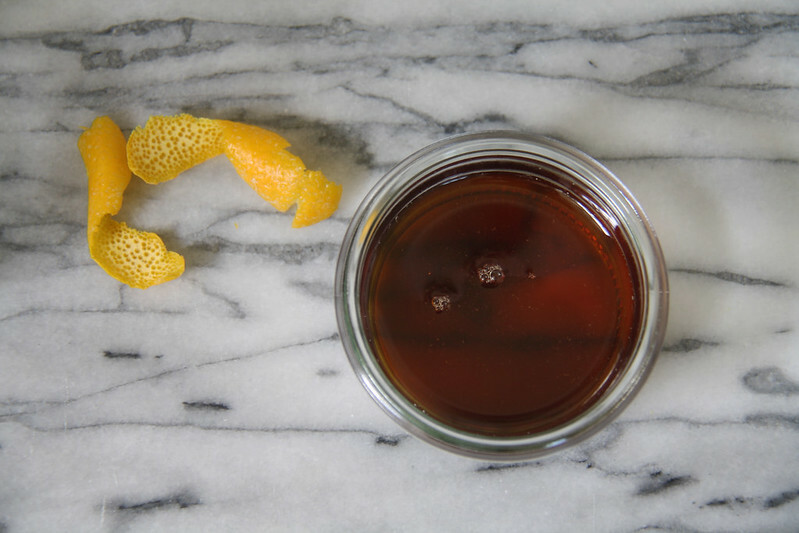 Peel enough orange to garnish your drinks and to add to the simple syrup you're about to make. Step two.. make a simple syrup. Simple syrup consists of two ingredients.. sugar and water. Mix equal parts sugar and water in a small pan over medium heat. 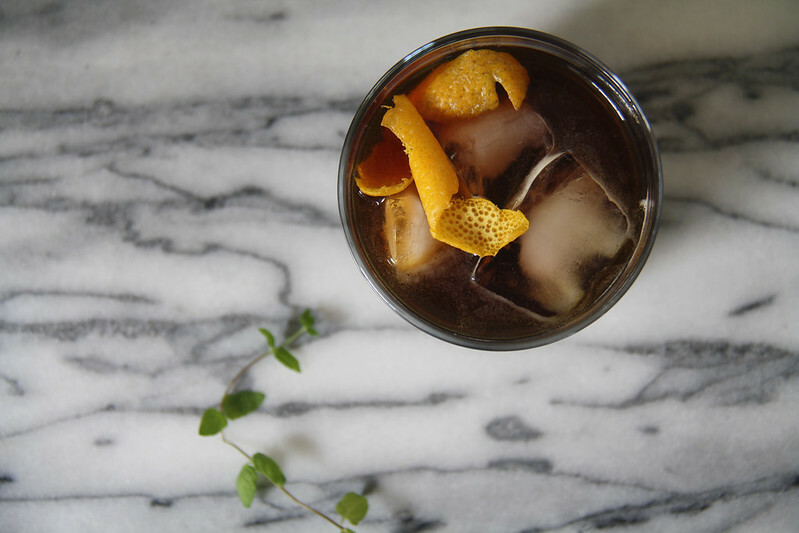 For a flavored syrup, add your orange peel (or mint). Stir constantly (until all sugar granules have disappeared) and remove from heat once the syrup reaches a boil. 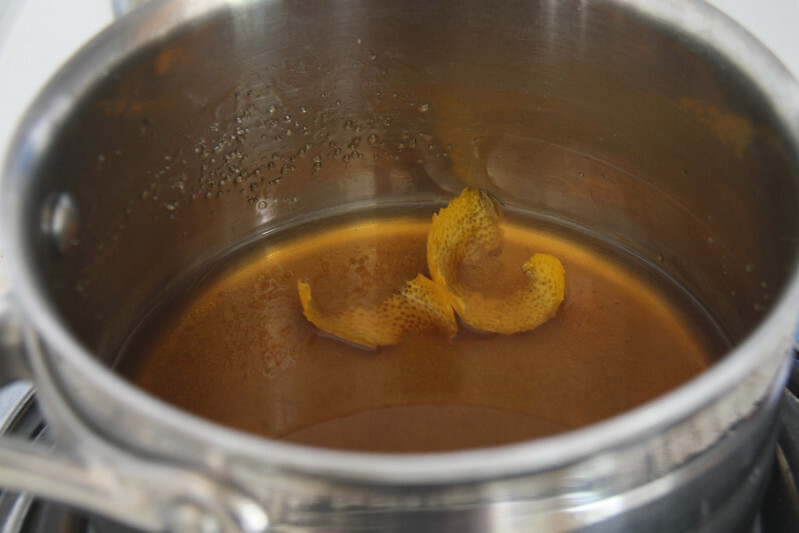 Remove the orange peel from the syrup and give it time to thicken and cool. Once your syrup is ready, fill your glass with three ice cubes and pour equal parts soda water and coffee concentrate into your glass. Add one or two ounces of the syrup to the top, stir gently, and finish with orange peel. You're set! The finished product is, while not as frothy or delicious as Crema's (which I highly recommend checking out for yourself), still tasty and refreshing. The perfect afternoon pick-me-up.